Cost: $30-$40. Tickets available through www.bingcrosbytheater.com. Ten days in the studio. No more than three takes on many, if not all, of the 13 songs on the record. For singer/guitarist Richard Thompson, this pace just made sense. After a 50-year career, which began when Thompson was an original member of the influential British folk rock band Fairport Convention, experience has all but replaced the need for preparation. But Thompson still took the time to rehearse with guitarist Bobby Eichorn, drummer Michael Jerome and bassist Taras Prodaniuk before entering Boulevard Recording Studio. That preparation was likely part of the reason none of the 13 songs refused to be recorded. Thompson self-produced “13 Rivers,” and Clay Blair (the Record Company, the War on Drugs, Gary Clark) handled engineering duties. Some elements on the record are first take, some are second or third. Thompson doesn’t remember doing more than a handful of run throughs on any given song. Thompson said there are mistakes on the record, but he gladly accepts those mistakes if it means he retains the energy that comes with recording quickly. 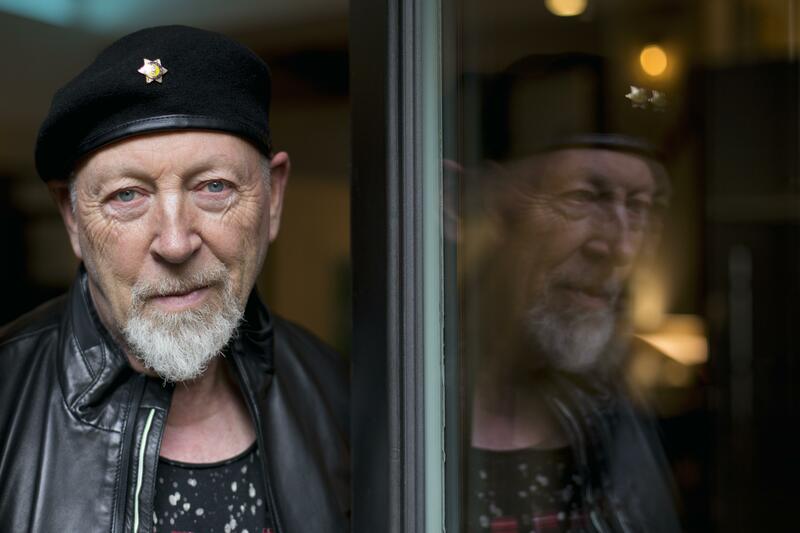 The new album brings the Richard Thompson Electric Trio to the Bing Crosby Theater on Friday. He liked this pace for writing too as it naturally lent a commonality to the songs. Not necessarily thematic similarities, he said, but similar chord sequences here and there or vocabulary that made its way onto more than one song. In other words, no redheaded stepchildren. Five months after the release of “13 Rivers,” Thompson is only just beginning to understand the songs on the album. As he was writing, he often didn’t know why he was writing the songs he did. He understood the emotion behind the songs, but the themes eluded him at the time. Thompson is touring in support of “13 Rivers,” but he’s also aware that 2019 marks the 50th anniversary of Fairport Convention’s trio of breakout albums, “What We Did on Our Holidays,” “Unhalfbricking” and “Liege and Lief,” which follow the band’s 1968 self-titled debut album. He’ll play a few shows with the Richard Thompson Electric Trio this summer, but after his current tour this year will mostly find Thompson performing solo. He’s got a gig with the Knoxville Symphony Strings in March performing a piece he wrote about World War I. He’s thinking about hosting a concert in the U.K. to celebrate his 70th birthday in April, and he’s written the soundtrack for HBO’s “The Cold Blue,” a documentary about the men of the 8th Air Force in World War II, which will be released in June. Thompson also has a hand in teaching aspiring guitarists and singer/songwriters through his annual summer camp, Frets and Refrains, which is held the second week of July outside of Woodstock, New York. This year’s camp features “Sunny Came Home” singer Shawn Colvin, Thompson’s son Teddy, a folk-rock musician, and English folk singer/guitarist Martin Simpson, among other counselors. It’s this upcoming project that Thompson seems most excited about. “It’s a really idyllic spot, and it’s a wonderful experience,” he said.